Our representative will pick you up from the airport and drop you at your hotel. 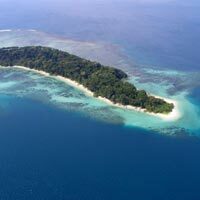 From this point your amazing journey for the incredible Andaman will begin. We know you will be very excited and eager to experience the scenic beauty of the exotic island. We will be equally enthusiastic in welcoming you to the emerald beach destination. Cellular Jail houses the rich history of Andaman and is a must see in Port Blair. It is a colonial prison built by Britisher's to exile Indian freedom fighters and political leaders. Jail has museums that reflect the sufferings and hardship of the prisoners. The place has the pride & patriotism in the air and will certainly make you enthusiastic. Ross Island Light and sound show: This mesmerising light and sound show in the open heritage island with dolby digital sound is a must watch. The bakery house made as screen for the show is just amazing, the show will display the history of Andaman getting its existence and the sacrifice made by our freedom fighters. 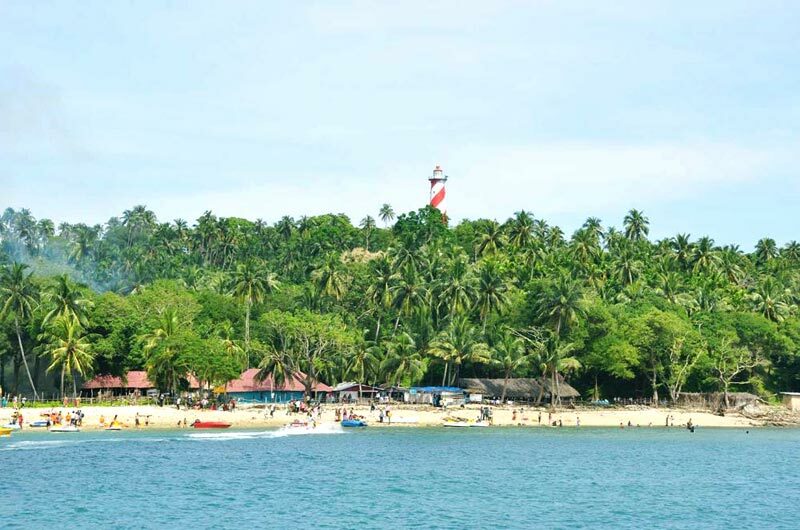 North Bay Island which being located at a distance of 30mins by boat journey from water sports complex of Port Blair is the most coral reach Island of Andaman. 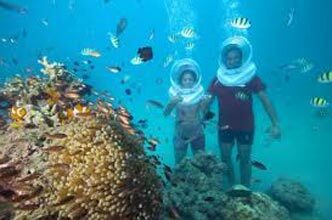 It is one of the best places in Andaman to explore colorful corals and various under water creatures through sea walk, scuba diving, glass bottom boat and snorkeling. This island also has a small local market. This is a show of lights and sound conducted in Cellular Jail every evening that depicts the history of Andaman and the life of prisoners in the Cellular Jail. The show will fill your heart with patriotism. The show lasts around 30 mins and is conducted in both English and Hindi languages. Our representative will receive you from the hotel and will drop you at the jetty. Jetty is the place where boats/cruises halt (also known as Port), from here it takes and drops passengers and cargo from one place to another. Here you can find many sizes and varieties of ship starting from small slow boats for inter island journeys till multi layer cruise from different countries. Here you can take some memorable photographs, experience how boats operate and know the life style of localities. Keep your Id Proof ready in your hands along with ticket for security check. Radhanagar beach located at about 12km from jetty is also known as beach No.7. It is a beautiful Beach with amazing waves and perfect for swimming. It is constantly ranked as best beach in India and Asia. It’s a picture perfect beach with an excellent view of sunset. You cannot just miss this place if you are in Havelock. The beauty of elephant beach starts with the speed boat ride that takes you to this heavenly beach. 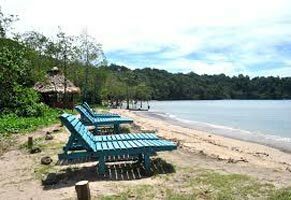 There are numerous activities which are conducted in this exotic beach with white sand and crystal clear water. Most wanted Snorkeling water activity can be done here.... And some more water sport attractions you may have at elephant beach except sea walk. Our representative will receive you from the jetty and drop you at the hotel. Jetty is the place where boats/cruises halt (also known as Port), from here it takes and drops passengers and cargo from one place to another. Here you can find many sizes and varieties of ship starting from small slow boats for inter island journeys till multi layer cruise from different countries. Here you can take some memorable photographs, experience how boats operate and know the life style of localities. Keep your Id Proof ready in your hands along with ticket for security check. The marine museum is a small museum located near water sports complex which is maintained by Indian Marine department. This museum displays some aquatic life and coral present in Andaman Islands. It is a place where you can learn a lot about the life under sea. This is one of the best museum in Port Blair, which provides thorough and sympathetic portrait of indigenous tribal communities of Andaman and Nicobar. 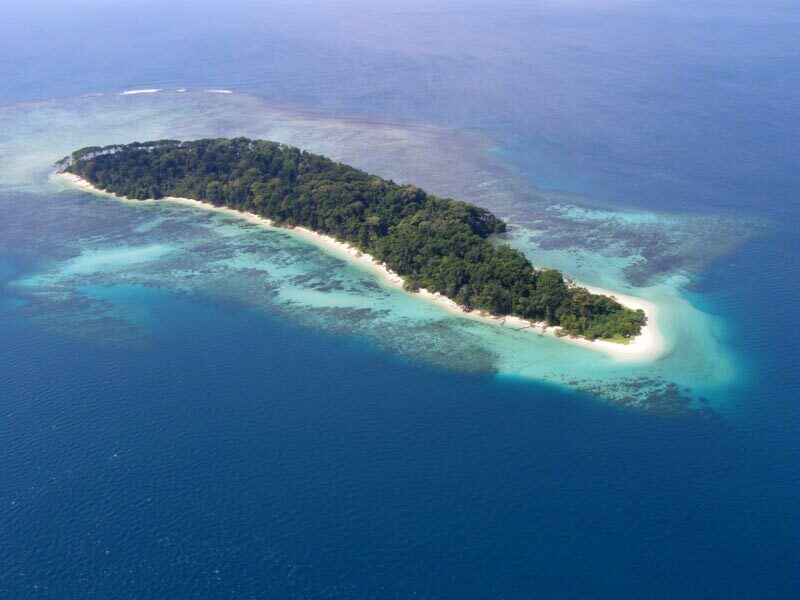 The place reflects the rich history and culture of Andaman. 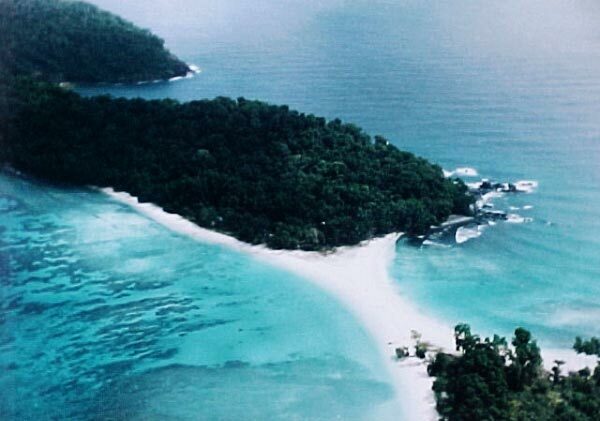 There is no better place than this to explore the heritage and culture of Andaman. Samudrika museum is a unique museum located in the heart of Port Blair that displays beautiful corals with neat notes on each species of sea creatures which makes it every educative. It is distinctly different from the mainland aquariums due to the presence of sheer variety of coral life that is exclusive to the seas surrounding the Andaman Islands. You can do shopping of some shell arts, articles made of local stuff, species, handicrafts. We will provide you with a complimentary ride for shopping .Then we will drop you at your hotel. After enjoying the beauty of exotic islands, mesmerizing beaches, unexploited nature and knowing our culture its now time for us to tell you good bye. We will be thankful for giving us the opportunity to serve you and will expect to serve you many more times in the future. Our representative will receive you from the Hotel and drop you at the Airport.